Identity theft happens when a person illegally obtains someone else’s personal information and uses it to commit fraud or theft. The term is often confused with “credit card fraud,” but the two are actually distinct crimes. Credit card fraud can be a form of identity theft, but the latter tends to be more complex, with criminal actions spanning a longer period of time. 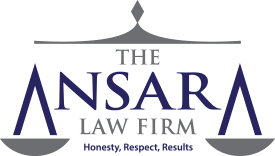 At The Law Offices of Richard Ansara, our Fort Lauderdale identity theft defense attorneys know these cases are often carefully crafted by law enforcement and aggressively pursued by prosecutors. The exponentially growing nature of this crime drives judges to mete out harsh penalties for conviction. An experienced defense lawyer knowledgeable in identity theft law and skilled in trial proceedings and plea deal negotiations is critical for anyone facing either federal or state charges. Where a credit card thief will steal a credit card and quickly make several fraudulent purchases, an identity thief will use personal information to open up a new credit card account, obtain a false ID or steal annual tax refunds. Identity theft encompasses a much wider range of actions and usually results in higher losses to the alleged victim than simple credit card fraud. There are both state and federal statutes under which defendants may be charged. Florida Statute 817.568 covers criminal use of personal identification information. The statutes states that any persona who willfully and without authorization fraudulently uses someone’s personal identification information without first obtaining that person’s consent commits a third-degree felony, punishable by five years in prison. If the person uses that information to their own benefit to perpetrate a fraud of over $5,000 OR if he or she perpetrates the same crime on more than 10 but fewer than 20 people, it’s considered a second-degree felony, punishable by up to 15 years in prison, with a minimum mandatory three years in prison. If the crime involves more than $50,000 in fraud or between 20 and 29 people, it’s a first-degree felony and is punishable by up to 30 years in prison, with a minimum mandatory of 10 years. 18 U.S. code § 1028 deals with fraud and related activity in connection with identification documents, authentication features and information. The statute breaks down into six sections and covers 10 prohibited acts. Those include unlawfully producing a fake ID or false document, transferring stolen or fake ID documents, possessing with intent to unlawfully use five or more ID documents , possessing stolen or fake ID documents with intent to defraud the government or possessing, transferring or producing a document-making implement with intent to be used in the production of false ID documents. Maximum penalties range between 5 years and 30 years in prison, depending on the scope of the alleged fraud. It’s also worth noting that Florida law imposes additional penalties for individuals who fraudulently use the personal information of a person under 18 without consent of a parent or legal guardian. Even parents and legal guardians can be arrested for fraudulent use of a minor’s identity. It’s considered a second-degree felony, punishable by up to 15 years in prison. The Federal Trade Commission has reported Florida, the third most populous state in the country, is No. 1 for identity theft complaints nationally. Of the top 20 metro areas for consumer fraud complaints in 2014, the Sunshine State was home to seven. There are an estimated 200,000 fraud-related complaints made each year. Of those, more than 37,000 were victims of identity theft. We have a high population of seniors, who can be a tempting target both because they tend to have savings and they are vulnerable. We have had explosive growth and development in the last 20 years, which means there is a lot of “new money” around as well. The rate of identity theft in Florida is 186 per 100,000 people – the highest in the country – with Miami, Fort Lauderdale and West Palm Beach leading the pack. In these areas, the rate was 316 per 100,000 people. Others that routinely make the top 20 list are Naples, Jacksonville, Fort Myers, Port St. Lucie, Lakeland/ Winter Haven, Orlando/ Kissimmee/ Sanford and Tampa. IRS officials have stated Florida is No. 1 in the nation for tax-related identity theft, and have beefed up enforcement, which has recently meant tripling the number of ID theft investigations, doubling the number of staffers working to root out tax-related ID theft and purchasing high-tech computer software to red flag fraudulent returns. The FBI opines the total number of victims and losses are likely much higher than what we see reflected in official figures because some agencies classify certain crimes differently and not all those affected realize it and report it. If you have been arrested for identity theft in South Florida, our Fort Lauderdale defense lawyers will carefully evaluate each case and advocate on your behalf to work toward the best possible outcome.